Scoil Chonglais have beaten Colaiste Eoin to win the South Leinster ‘D’ Football Championship, recovering from an early goal to run-out deserved victors. 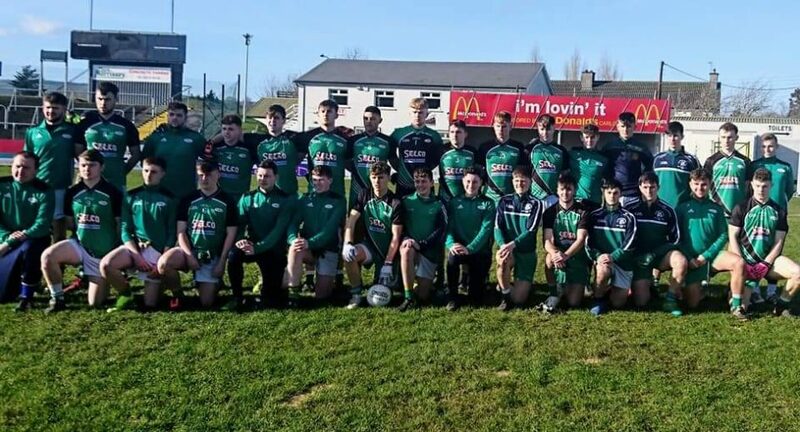 The Baltinglass school fell behind to their Hacketstown opponents by virtue of a goal from Knockannana’s Noel Byrne in the fifth-minute of the final in Carlow on Monday afternoon. However, they bounced back clinically through three goals in as many minutes from Alan Barrett, captain Jordan Deans, and Jack Fleming to lead 3-07 to 1-04 at the interval. Colaiste Eoin fought tooth-and-nail in the second-half to try and close the gap to Scoil Chonglais, only for the Wicklow side to have all the answers, eventually running out 3-10 to 1-09 victors. Scoil Chonglais scorers: A.Barrett (1-02), J. Deans (1-01), J. Fleming (1-0), J. Hanlon (0-03), S. Doody (0-02), J. Sinnott (0-01) R. Brien (0-01).